If you need to farm some gold, these decks might help. Hearthstone’s next expansion Rise of Shadows drops on April 9 and the community hype is through the roof. We still have a couple of weeks left in the Year of the Raven, however—and here are the decks that will be dominating during this time. If you’re surprised, you shouldn’t be. 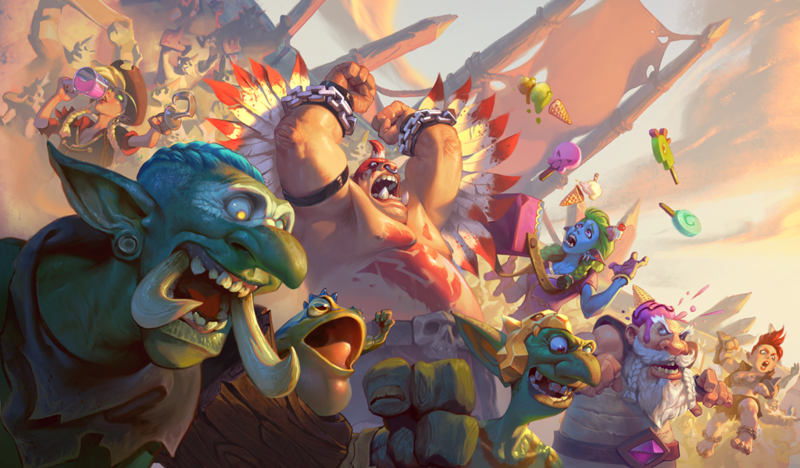 Perhaps the most resilient deck in the history of card games, Even Paladin has been nerfed a handful of times during its lifespan, but nothing seems to slow it down. Whenever a card that explicitly benefits Even Paladin has been changed, something else rises to the occasion and takes its place. One of the main reasons most feel Even Paladin was so dominant during its lifespan is how good the improved hero power it receives from Genn Greymane is. Neither Genn nor Baku will be joining the Year of the Dragon as developers revealed they’ll be leaving standard rotation earlier than expected. This is in response to how dominant the Odd and Even deck archetypes created by Genn and Baku have been over the course of the last year. If you want to control the board while amassing an army of minions and get insane value out of just about every card you play, give this Even Paladin deck a spin while you still can. At the start of Rastakhan’s Rumble, it didn’t seem like the expansion was going to be very kind to the Warrior class. As the season progressed, however, and more top tier decks continued to feel the wrath of the nerf bat, Odd Warrior found itself sitting near the top of every tier list. Cards like Zilliax, Crowd Roaster, and Dr. Boom, Mad Genius give the deck extremely good mid-to-late game value. Warrior also comes equipped with good survivability thanks to its hero power and solid removal options like Shield Slam. Odd Warrior plays very much like a Control deck. It also has a Taunt variant if you’re someone who enjoys the classic Taunt Warrior playstyle. The most common version of the deck seems to be the Dragon variant pictured below. Hunter as a class has been dominating in some form for the entirety of Rastakhan’s Rumble. During the early weeks of the expansion, Secret Hunter was incredibly dominant and perched near the top of nearly every tier list. As the meta has evolved, so have the Hunter decks that see success on ladder. Mid-range Hunter seems to be the final form of Hunter until Rise of Shadows shakes things up next month. The deck takes advantage of Hunter’s damage-dealing hero power and combines it with a variety of low-cost, high-impact minions and spells. If you last into the late game against Mid-range Hunter, you probably have a decent chance of swinging the game back into your favor. The issue, however, is getting to the end game. Most decks don’t have the tools necessary to deal with the onslaught that Mid-range Hunter can provide in the early game. Mid-range Hunter will more than likely still be around in some form after Rise of Shadows launches, so playing this version of the deck might be a good way to get your feet wet. The meta will be shaking up big time once Rise of Shadows launches on April 9, so spending dust on these decks isn’t recommended. Instead, if you have the cards to play one of these decks that have been dominating ladder, hop in competitive and farm some gold. The more gold you have, the more Rise of Shadows packs you can buy without spending real money. Although it’s far too early to say what the meta might look like during the first week of the new expansion, it’s always a super fun time to play. 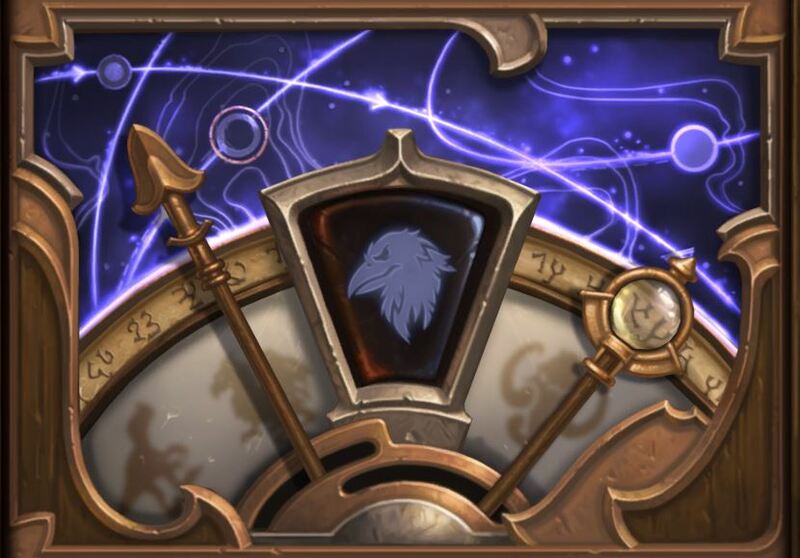 Check back for updates regarding Rise of Shadows, and try to maintain your excitement by playing ladder in the meantime.